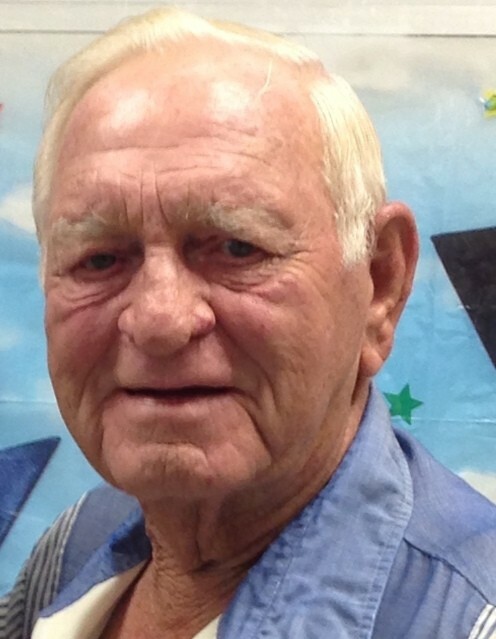 Darrell Jay Hileman, 88, Denver, died at 4:00 pm on December 4, 2018, six days following an attempted gall bladder surgery that revealed cancer instead. His first concern upon receiving the news was, “Do my kids know? Are they ok?” He was peaceful at home with his children close by at the time of his passing. Darrell was born January 3, 1930, third of eight children to Floyd and Sadie (Henry) Hileman in Erie Township. He graduated from Gilead High School in 1948, earning the honor of Valedictorian; however, because he did not want to make the graduation speech, he happily accepted the title of Salutatorian. Being ever imaginative and purpose-driven, while growing up on the family farm he developed several ingenious inventions to lighten workloads. One such invention was a draining system for his grandmother’s washing machine to eliminate carrying the water away by bucket. Darrell was baptized and attended Youth Group at Oakdale Baptist Church, Peru, where he met the love of his life, June Flohr. They postponed wedding plans when Darrell received an invitation from President Truman to serve his country in Korea. He was inducted into the Army January 11, 1952, serving with the 14th Infantry Regiment, 25th Infantry Division, running communication lines from headquarters to the front lines. Accepting these assignments allowed him to complete his tour of duty in twenty-one months on October 5, 1953. He married June just six days later on October 11, 1953. Working for Bell Telephone Company, Darrell once installed a phone for Peru’s own Cole Porter. In 1964, he accepted a job with Delco Electronics in Kokomo from where he retired in 1992. He and June moved to a farm north of Denver in 1966. One of his hobbies there was “check-row planting” field corn which drew a lot of attention from around the state. He also enjoyed restoring old tractors. Son-in-law Tom Harp watched him drag home an old dilapidated tractor in pieces on a trailer. “Look what I found!” He was so proud of his excellent find. A year later, it was running great and looked brand new. That former pile of junk still runs today. They eventually designed and built a new home. Being a Journeyman electrician, the wiring in that house is a thing of beauty! Darrell and June enjoyed a bit of traveling by visiting sister Judy in Tucson, nephew, Derek in Seattle; daughter, Beth Ann in Virginia Beach. Many fishing trips were taken with brother Ron & Mary and sister Betty & Bill. Darrell is survived by four of his five children, Mike & Barb Hileman, Peru; Carol & Tom Harp, Macy; Jeff (OJ) & Edna Hileman, Denver; and Beth Ann Hileman, Peru; nine grandchildren, Mikell & Jennifer Flachman, Tom & Amanda Coldiron, Tabatha & Jimmy Stambaugh, Shane & Karen Flachman, Michelle Hughes, Adam & Kristin Harp, Robin Deetz, Monica & Jake Clouthier, and Isaac & Kelly Harp, also twenty-four great grandchildren, with another due in May, and one great-great grandchild; younger sister, Judy Ellis; and brothers, Ron & Mary Hileman, Alan & Emma Hileman, David & JoAnn Hileman; sisters-in-law, Peg Smith, Norma Flohr, and Neva Flohr; and numerous cousins, nieces and nephews. Preceding him in death are his wife, infant son Steven Jay; his parents; June’s parents, Robert & Sylvia (Hoover) Flohr; infant sister Marjorie; brother and sister-in-law, Gene and Annabelle Hileman; sister and brother-in-law, Betty Gayle and Bill Robison; brothers-in-law, Gene Ellis, Larry Flohr, and John Flohr, who passed just two days prior on December 2; and sister-in-law, Cathy Hileman. Visitation will be Sunday, December 9, 2018, from 2:00-5:00 pm at McClain Funeral Home, Denver. A short service will be held Monday, December 10, 2018, at 1:00 pm at the funeral home, followed by military rites at Westlawn Cemetery in Denver. Memorial contributions may be made to the Denver Fire Department.